Now they face possible jail time and a $500 fine, WPLG said. Despite some criticism from homeless advocates, city officials have vowed the new rules will be enforced. “Just because of media attention we don’t stop enforcing the law. We enforce the laws here in Fort Lauderdale,” Mayor Jack Seiler said. “I’m not satisfied with having a cycle of homeless in the city of Fort Lauderdale,” Seiler said. 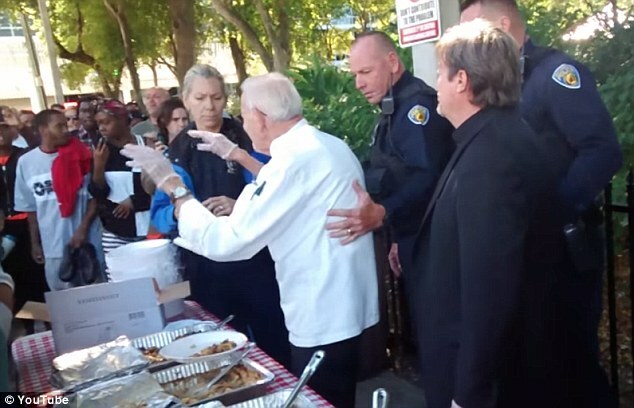 “Providing them with a meal and keeping them in that cycle on the street is not productive.” But Abbott, who has been helping feed homeless people in the area through his Love Thy Neighbor nonprofit since 1991, said authorities are targeting the city’s most vulnerable residents.